One of the suburbs that we service in the Hills District is Annangrove with a population of around 1,500 and postcode of 2156. It lies about 42 kilometres North West of Sydney’s Central Business District in the Local Government Area of the The Hills Shire. We have been treating cockroaches, spiders, ants and termites in this location for over 35 years. As it lies within a bushy area, with lots of large gum trees, we classify it as a high risk area for termite attack. 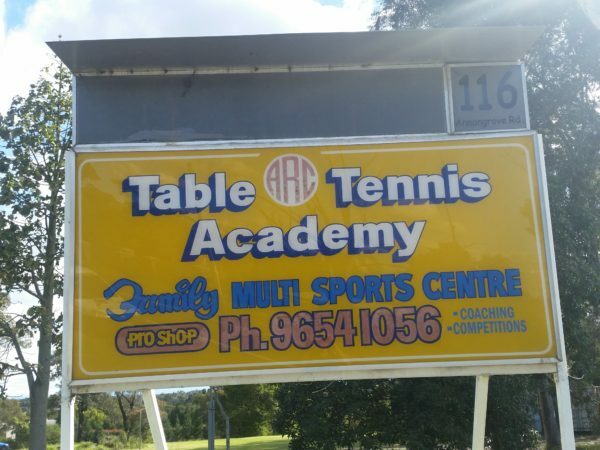 One of our favourite places to go for recreation is the Table Tennis Academy owned by local businessman, Mr Radko Zaloudek. I play competitive table tennis here on Tuesday nights and Saturday afternoons. It also has squash courts, tennis courts and a great barbecue area for social occasions. Unfortunately last year one of the storage containers in the front yard had a large infestation of termites to the personal effects stored within, including the covers of family photo albums. Luckily Radko called us to treat them with a low toxic dust and a termite barrier called “Termidor” and the vast majority of effects was able to be saved.